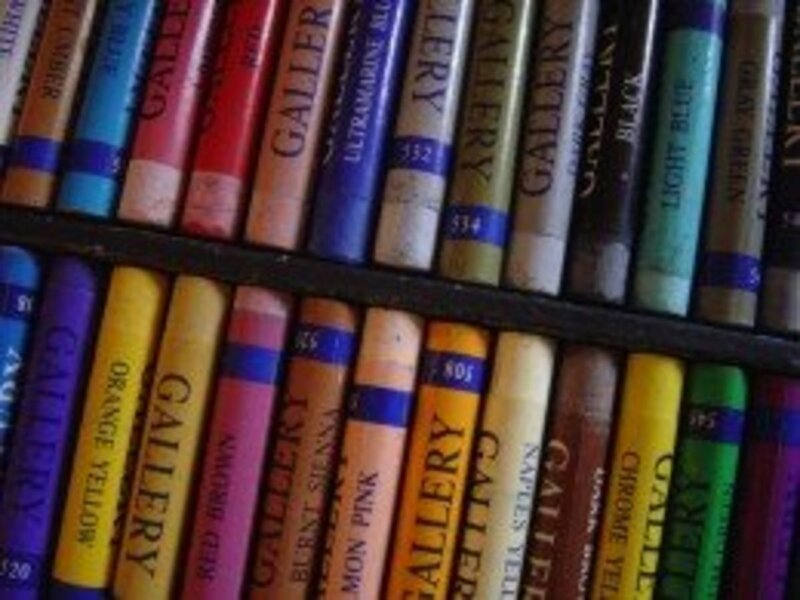 Artists have long used chalk pastels, and more recently, oil pastels for drawing and sketching. The medium can be used in a linear manner, or in a painterly way, so you can talk of pastel drawings or using pastels to creat pastel paintings, and as oil pastel is a particularly painterly medium, you can almost talk about oil pastel painting. This is the history of pastel – the pastel stories. Pastel, usually in the form of sticks, consist of pure powdered pigment combined with a binder. There are two main types of pastel, dry pastel which use binders such as gum arabic and gum tragacanth, and oil pastels that are similar to dry pastels but boud with oil, and sometimes also wax, which makes them greasy and soft. Soft pastels: The sticks have a higher portion of pigment and less binder, resulting in brighter colors. They can be blended by rubbing the pastel gently and the finished drawings need to be fixed to prevent smudging. Hard pastels: These have a higher portion of binder and less pigment, producing a sharp drawing material that is useful for fine details, however the colors are less brilliant than with soft pastels. Pastel pencils: These are pencils with a pastel lead. They are useful for adding fine details. 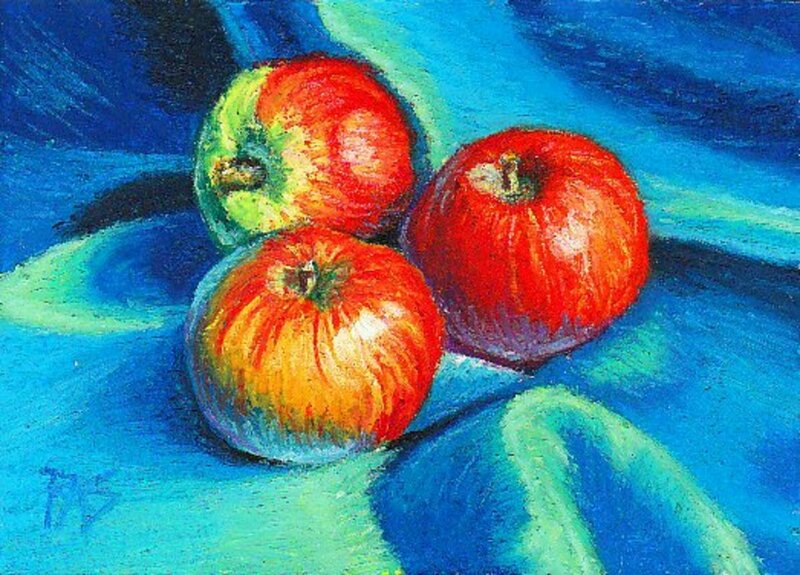 Oil pastels have a soft, buttery consistency and intense colors. They are more difficult to blend than soft pastels, can be thinned with turpentine or white spirit and do not require a fixative. Water-soluble pastels are a third category, similar to soft pastels, but contain a water-soluble component, such as glycol. This allows the colors to be thinned out using a water wash.
Soft pastels of oil pastels? Do you prefer chalk pastel or oil pastel? Conté crayon, dry pastel and oil pastel form a bridge between drawing and painting in contemporary art, however, they would originally have been used by artists to work out compositional and color problems in preparation to painting with oil. Over the centuries the use of pastels evolved into a painting medium in its own right. Drawing with dry pigments dates back to earliest humans. Cave paintings in Lascaux, France, dating back more than 15,000 years, use charcoal and both wet and dry pigments to create images of animals on the roof of the caves. Imprints have been found in caves and on cliff faces around the world when dry materials, such as powdered charcoal or mineral pigments were mixed with a coating of saliva, animal fat or tree resin and smeared on the human hand in order to leave a mark. Some historians believe that prehistoric people made pastel sticks by packing pigment into hollow animal bones. The bones were then dried and the pastel would be easy to remove. Italian Renaissance masters used red chalk to do architectural and engineering drawings, and it was Leonardo da Vinci who first mentioned pastels as such in 1495, calling it ‘the manner of dry colouring’. The word itself suggests an Italian origin, however, according to Leonardo da Vinci (1452–1519), he was told about the technique by a French artist, Jean Perréal (?1450/60–1530), who had come to Milan in 1499 with Louis XII. Shortly after this Leonardo executed his famous portrait Isabella d’Este in Mantua, (now in Paris, Musée du Louvre). 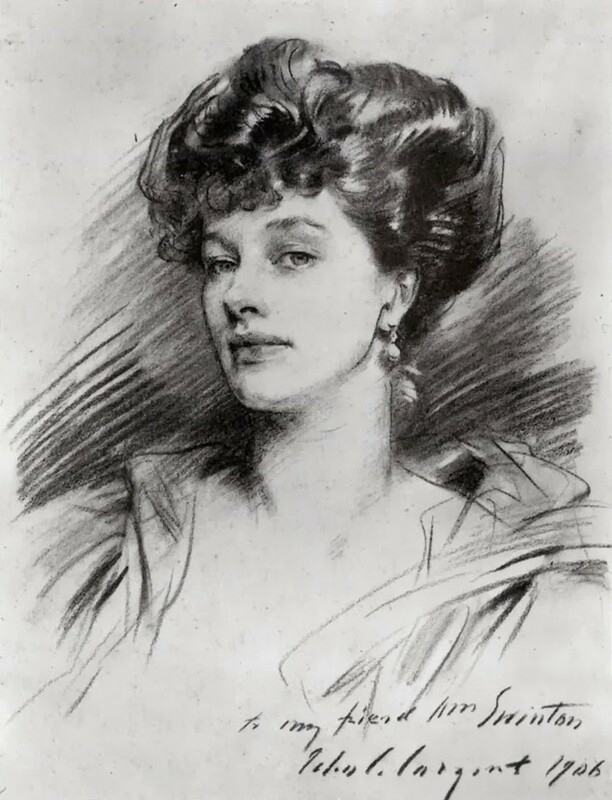 This wasn’t a drawing in its own right, but a preparatory study in black and red chalk, with highlights in pastel, which was intended to be used to inform a painting. Alas, the painting was never realized. The earliest paintings in a variety of colored chalks were rendered by Guido Reni 1575-1642, but it was Rosalba Carreira, born in Venice in 1675, who became the first popular painter of the new medium and she became the most fashionable pastel artist in Paris. She used rubbing and blending, with a soft and delicate feeling. 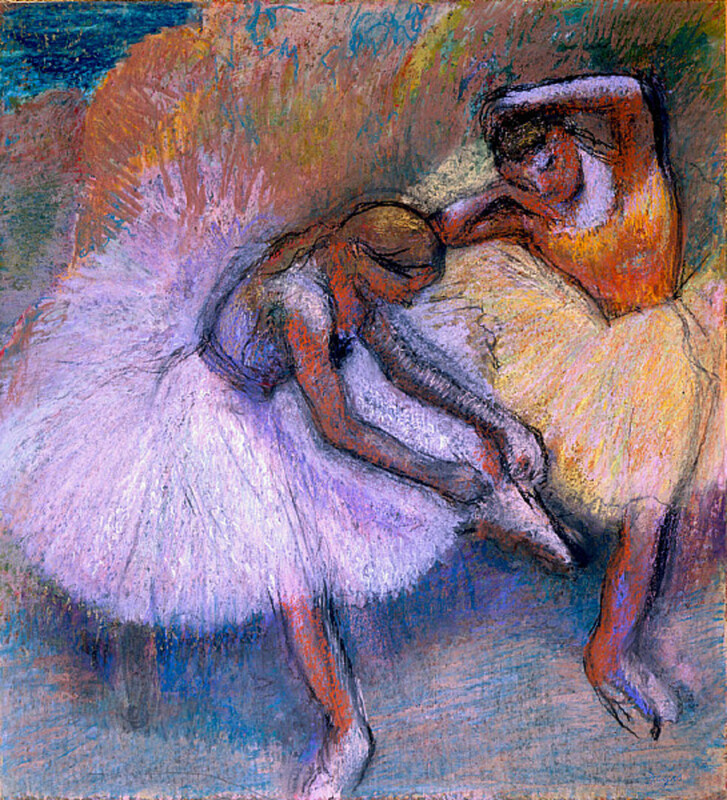 The use of pastel continued in Europe but took on a more potent form in the 19th century in the hands of the pre-Impressionists, and especially Edgar Degas (1834–1917). 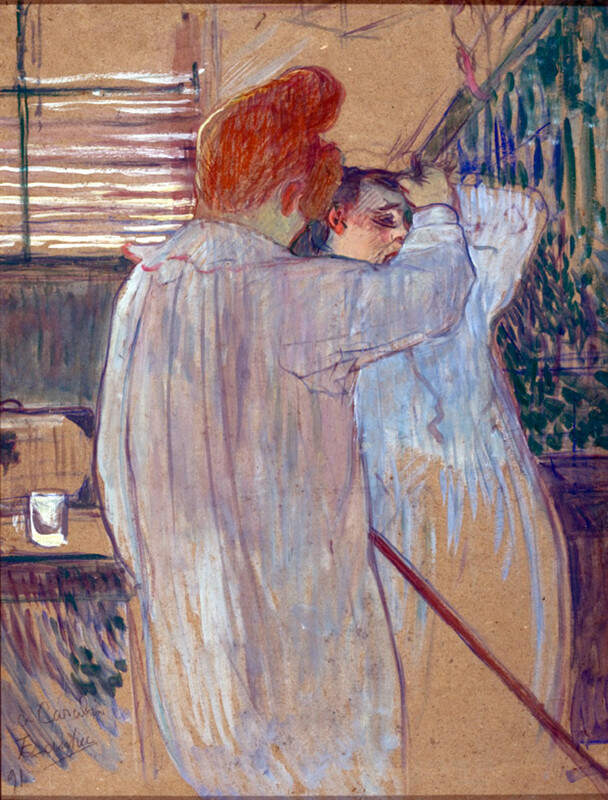 Up until the time of Degas, pastel had been used as a technique of dry colouring, but Degas pushed it towards the painterly end of the spectrum by spraying boiling water over his sketches, wetting the coloured powder so that it could be worked with a brush. After Carreira there followed a line of artists that have used pastels to produce major oeuvres. 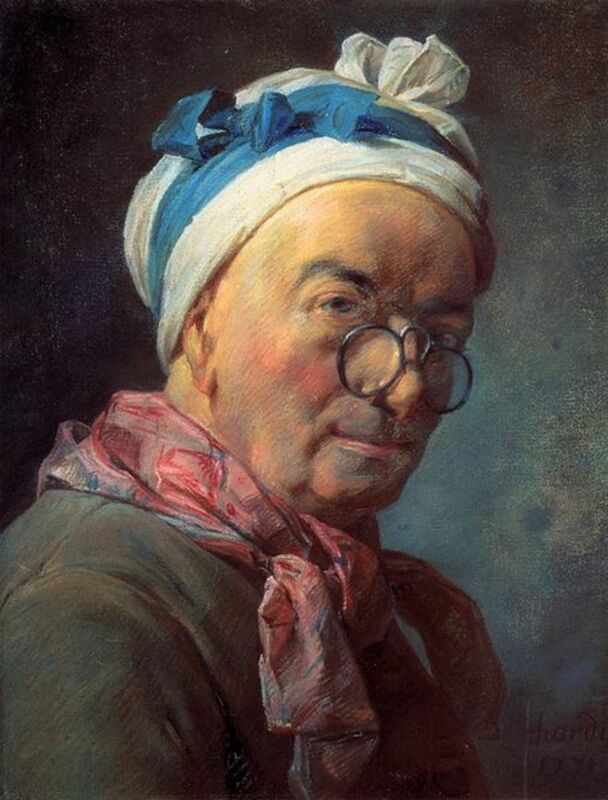 Jean Etienne Liotard, Maurice Quentin de La Tour 1704-1788, Jean Baptiste Simeon Chardin 1699-1779, Jean-Francois Millet, 1814-1875, Edgar Degas 1834-1917, Odilon Redon, James McNeil Whistler, Mary Cassatt. Modern notable artists who have worked extensively in pastels include Fernando Botero, Francesco Clemente, Daniel Greene, Wolf Kahn, and R. B. Kitaj. This list is just to give a taste of the range of artitsts who used pastel, and is not in any way intended to be complete. Oil pastels were first invented in 1921 as high quality crayon that combined soft malleability with a vibrant color range. By 1927 the stick known as Cray-Pas was perfected however it was in 1947 that Henri Goetz approached Henri Sennelier, the famous artist materials manufacturer, about creating a wax colour stick for his friend Pablo Picasso which would give a more professional product than Cray-Pas. In 1949 the first professional oil pastels that could be used on a variety of surfaces without fading, were developed by Sennelier. Originally available in a palette of classic hues, the colour selection was expanded with the addition of metallic, iridescent hues and a range of greys. Today the Sennelier oil pastel is made from top quality pigments and an extremely pure synthetic binding medium and mineral wax. The pigments are ground with an inert, non-siccative binding medium that does not oxidise and that has no effect upon either film stability or surface. This base is then mixed with wax (neutral pH). 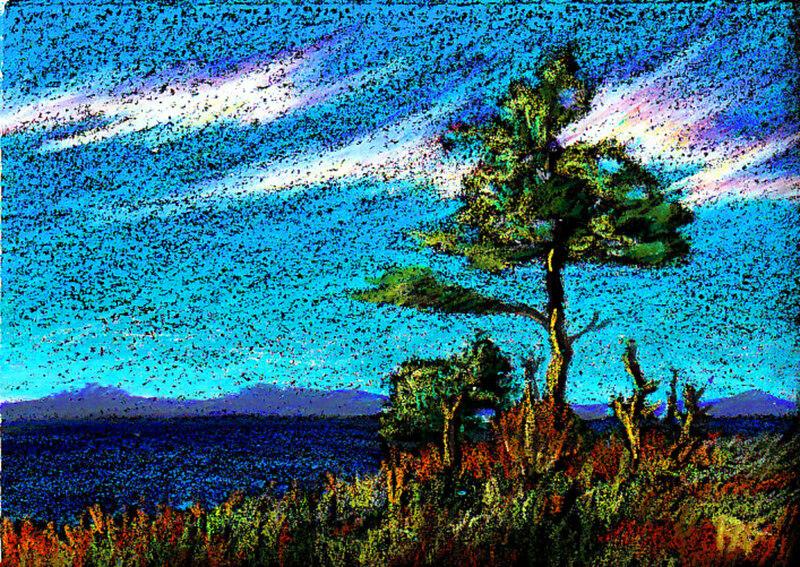 The balance of this mix provides Sennelier oil pastels with a unique unctuousness and a creamy texture that allows for a great deal of freedom in pictorial expression. This new medium never hardens, so it never cracks. The pastels are acid free, non-yellowing, and easily adhesive, oil pastels are ideal for working on any surface – just what Picasso ordered! La Maison du Pastel provides hand-made pastels since 1720. The luminosity and adhesive quality to the support of the 1650 colours developed by Henri Roch for artists like Degas made its reputation. You're very welcome Les Trois. 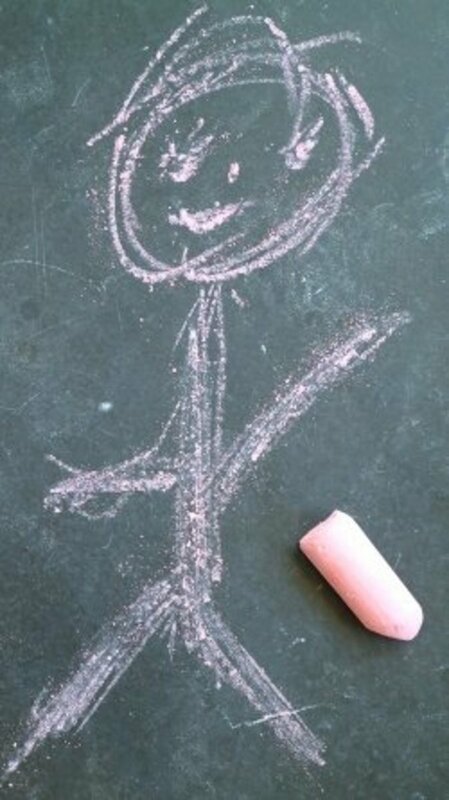 I still remember the chalk pastels vividly. So pleased you enjoyed the article, Kristen, and that it brought back so many happy memories. Thanks for voting it up too. Great hub. 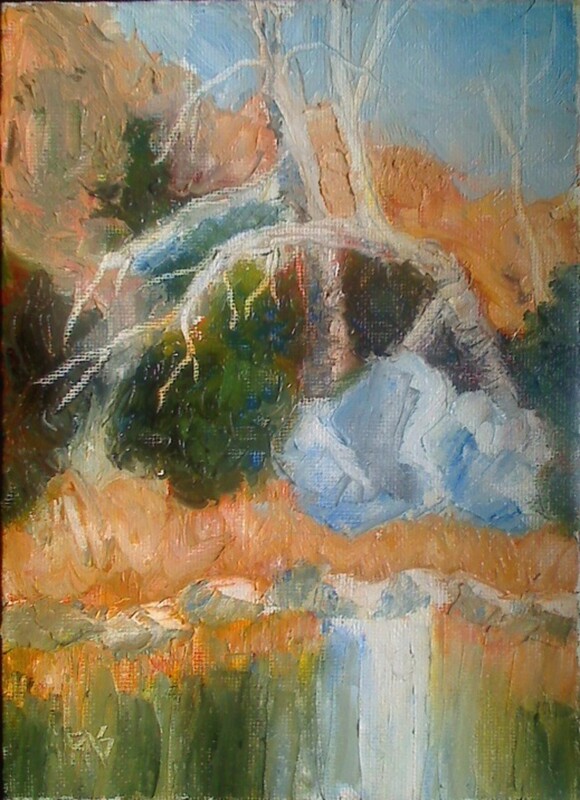 I remember using pastels a long time ago, when I lived in New Jersey. 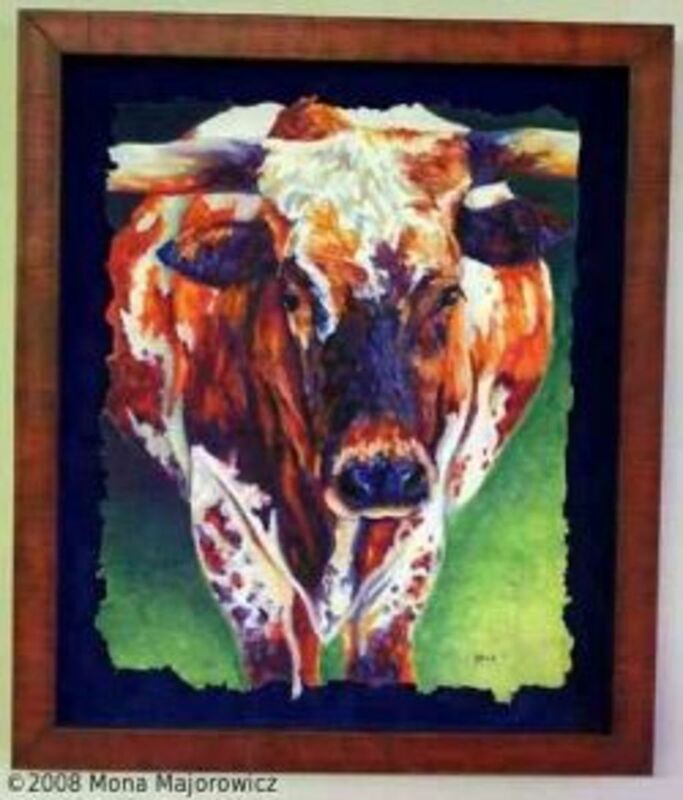 My mother had a box of pastels for her art, when she did it for fun. Great history on it. Voted up for useful and interesting! Many thanks for leaving a comment, Georgina. Will take a look at your pastel tutorials - always nice to have a bit of inspiration. Lovely article on pastels. For me, it has to be soft pastels every time, as you can see from all the pastel tuorials on my hubs! My favourites are Unison and Sennelier. You just can't beat their quality. Rating and following. So pleased to hear that you are so very inspired! Would love to see your pastel work once finished, Seafarer mama. Great hub. Really informative. I didn't realise pastels went back quite so far in time. Beautiful photos too. Docomo, many thanks for your kind comments. 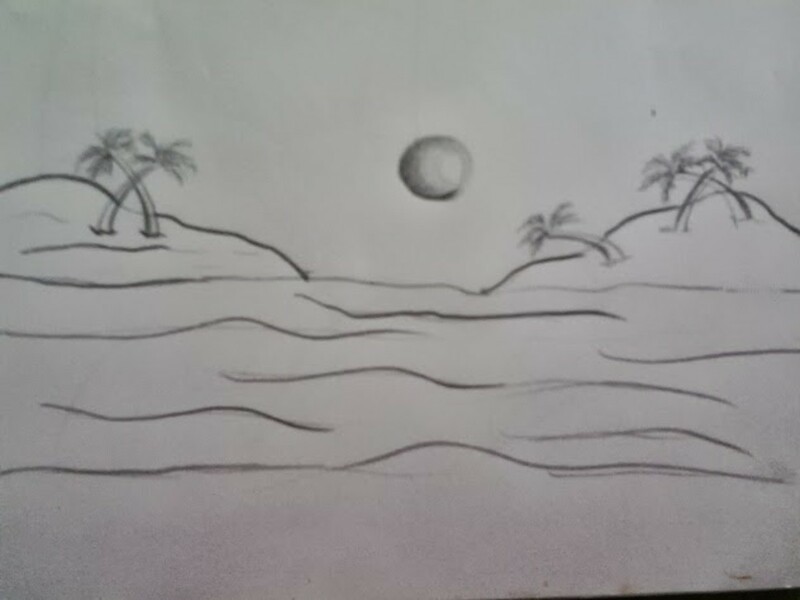 I must admit that after years of art ed. I didn't know much about pastels. I had an art class today and I told them more than they ever wanted to know about pastel. This is brilliant - I have been using Pastels for a while and knew they were old but didn't realise the historical timelines and the use by DaVinci- great, informative hub- well illustrated and researched. Thanks for this! voted up. It's a great theme, isn't it? All sorts of every-day things around us that we don't know anything about. Many thanks for your comments. This Hub is really interesting. I didn't know that pastels were used in Neanderthal days. I like the visuals as well. I have learned something about pastels. especially that they have been around so long.